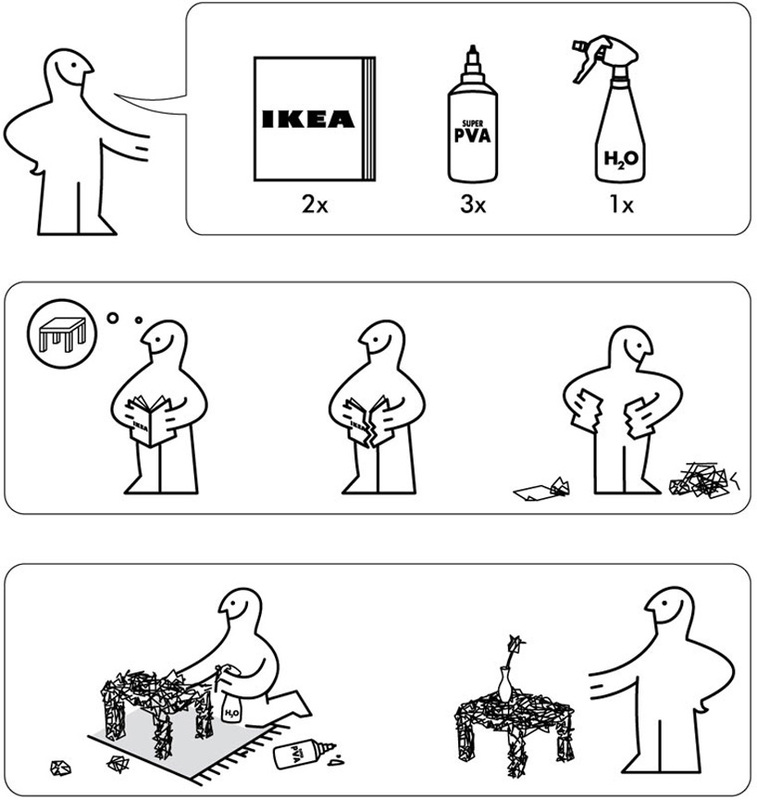 IKEA is a famous retail company with multiple stores in countries around the world. 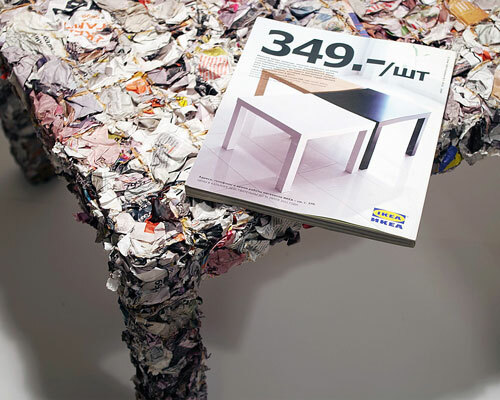 their selection includes ready-to-assemble furniture, appliances, and accessories, all of which present the principles of swedish contemporary design. 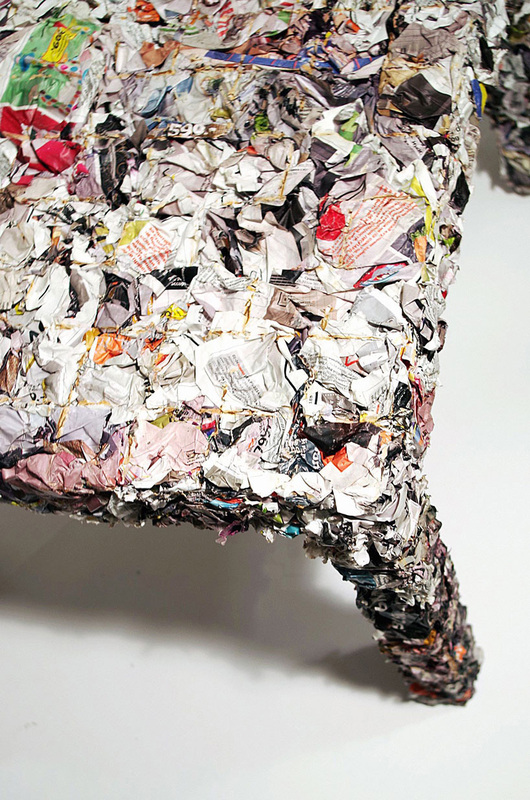 they are simple, elegant, functional, and most importantly, eco-friendly. 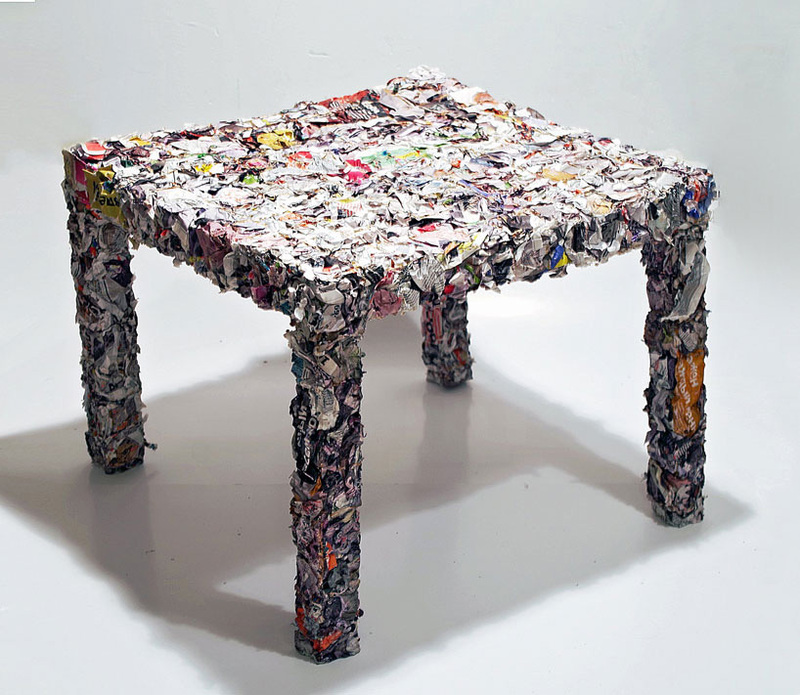 taking this idea of sustainability to a greater extent is a project called the ‘IKEA table’. 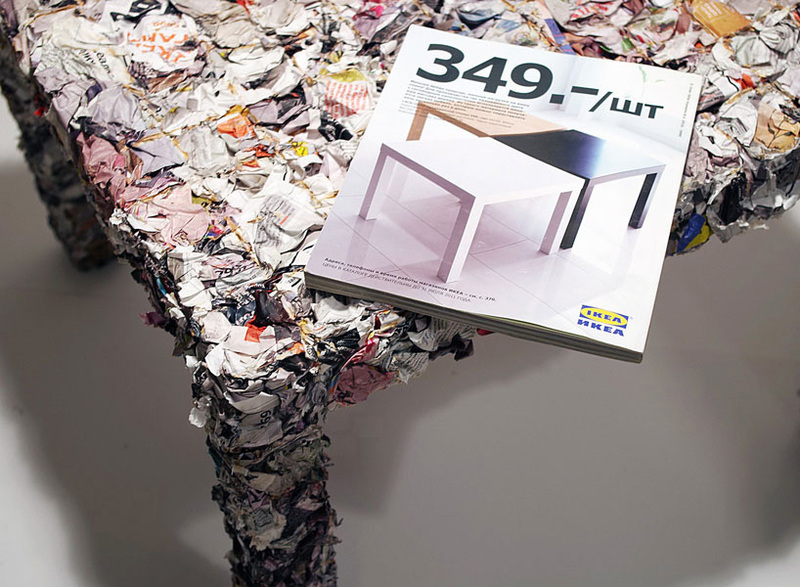 the furnishing has been devised as a way to fully reuse two of the brand’s annual catalogues. the process utilizes water to make the distortion of the pages more manageable, fusing their computer-generated graphics into odd conglomerations of textures, colors, and misshapen typefaces. these pieces are reinforced by polyvinyl acetate, a synthetic polymer adhesive that is visible as a subtle grid throughout the structure. Makes me laugh. I like.